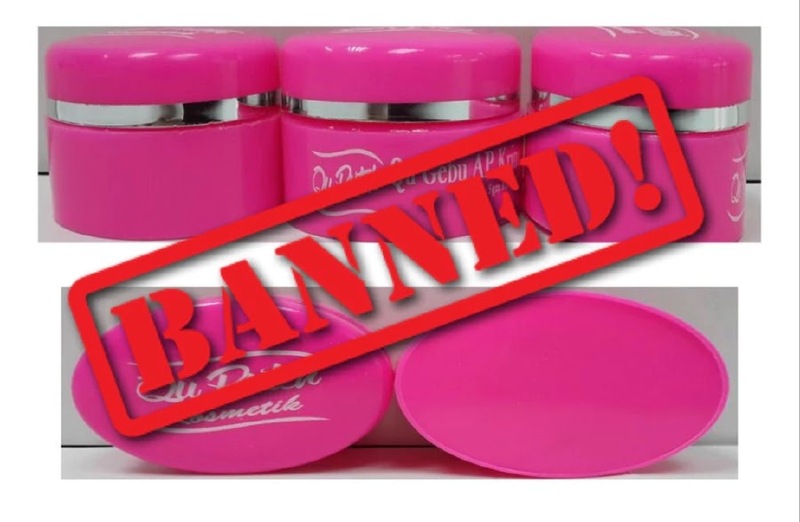 He said cosmetic products mixed with hydroquinone, if used can cause redness on the skin, discomfort, undesirable skin discolouration and may also cause the skin to become hypersensitive. "The side effects of the use of hydroquinone can halt the process of pigmentation (depigmentation) which reduces skin protection from UV rays and this could lead to skin cancer. "Cosmetic products mixed with tretinoin are usually used to treat acne and reduce wrinkles. However, unsupervised use of the product can cause redness on the skin, discomfort, burning, peeling and hypersensitivity to sunlight. "For mercury, the side effects - when it is absorbed by the body can cause damage to the kidney and nervous system. It can also affect the development of a child's brain," he said. He said the adverse effects due to the exposure to mercury are usually experienced by the people around, especially children. He said when the products are applied to the skin it can cause rashes, irritation and changes on the skin. Dr Noor Hisham warned sellers and distributors to stop selling and distributing the seven cosmetic products immediately. "If they are found to sell these products, they will face punishment under the Control of Drugs and Cosmetics Regulations 1984. "Offenders can be fined not more than RM25,000 or imprisonment not more than three years or both for the first offence. For subsequent offences, offenders can be fined no more than RM50,000 or be jailed up to five years, or both," he said. Those using these products are advised to stop immediately and seek advice from healthcare professionals if experiencing any discomfort. Any inquiries, consumers are advised to contact NPRA at 03-7883 5400 or email to kosmetik@npra.gov.my or visit NPRA website via online at http://npra.moh.gov.my. > Looking for qualified and accredited Skin Specialists in Malaysia, check out Dermatologist Malaysia.